There are times when the hardest words in the world to utter are "Praise the Lord!" (also translated "Hallelujah!"). These words just don't flow from our lips. In fact, there are times we are turned off even when others use the words! There are times when the hardest words in the world to utter are "Praise the Lord!" (also translated "Hallelujah!"). These words just don't flow from our lips. In fact, there are times we are turned off even when others use the words! Interestingly, each of the last five psalms in the Hebrews' ancient songbook begins with that exclamation of praise. Perhaps by focusing on one of the five, we will uncover some things that will help us live beyond the grind of praiseless times. If you are a Christian and have spent much time in churches and Christian groups, you have heard "Hallelujah!" dozens, even hundreds, of times. But what does it actually mean? We hear it and we say it without realizing its significance. I want to explore its meaning with you. These five concluding "Hallelujah Psalms" form the most beautiful scenery on the last leg of a journey through the ancient hymnal—a journey that often includes times of sadness, sin, gloom, loneliness, distress, and depression. I recall returning to the United States after a lengthy tour of duty on Okinawa and other Oriental islands and countries. As our troop ship sailed under the beautiful Golden Gate Bridge, tears came to my eyes! All the loneliness, sadness, and distress of my previous months away from my homeland and wife and family faded from significance because of that final turn into the harbor of San Francisco. That is the way it is in a study of the songs in Scripture. The beauty and loveliness of the final scene tend to make us forget the many days the composers spent in heartache and sorrow. "Hallelujah" is literally a Hebrew term, not English. It is a composite word made up of two smaller terms—halal, meaning "to boast," and yah, a shortened version of YHWH, the personal name of God. Putting them together, the exact meaning of halelujah is the command "boast in the Lord (YHWH)!" To boast is "to speak of or assert with excessive pride." Normally, it has to do with a display of pride in oneself. However, in the case of "Hallelujah!" it denotes a display of pride or an assertion of glory and honor in the Lord. So then, whenever we say "Hallelujah!" we are asserting, "Let's give glory and praise to the Lord—and none other!" This explains why some versions of the Bible prefer to translate "Hallelujah!" as "Praise the Lord!" That is what it means. Self is ignored. Magnifying the Lord is the single concern of these last five psalms. Whenever we say "Hallelujah!" let's realize what we are saying. During praiseless times, we are usually preoccupied with ourselves. We find it almost impossible to focus fully on God. 1. It is written to believers—people genuinely pursuing a personal relationship with God, not merely nominal adherents to a religion. Verses 1, 5, and 9 specifically mention "godly ones." 2. It is written to Jewish believers. This becomes evident as you examine such terms as "Israel" (verse 2), "sons of Zion" (verse 2), "His people" (verse 4), and "the nations" (referring to Gentiles, verse 7). 3. It falls into three sections. Each section has to do with certain times in which we are to praise our Lord: (a) verses 1–3, times of blessing; (b) verses 4–6, times of suffering; (c) verses 7–9, times of warfare. Whenever we say "Hallelujah!" we are asserting, "Let's give glory and praise to the Lord—and none other!" (Brentwood, Tenn.: Worthy Publishing, a division of Worthy Media, Inc., 2012). 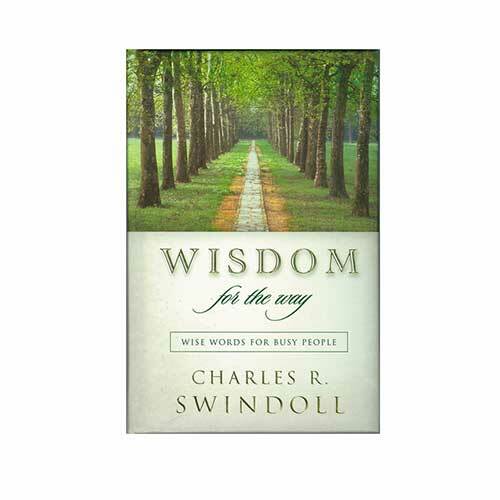 Copyright © 2012 by Charles R. Swindoll, Inc. All rights are reserved. Used by permission.